Sleigh Ride Centerpiece ~ Elevate your centerpiece with a handsome vintage sled. Top with an assortment of cloches, ornaments, and greenery. After the holidays, keep the sled, but replace the Christmas-theme accents with winter wares, like white pillar candles in glass hurricanes surrounded by faux snow. Holiday Gifts Centerpiece ~ Pretty presents aren't just for placing under the tree. 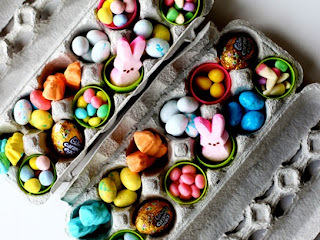 Wrap empty boxes to look like gifts and decorate with a few embellishments to use in a centerpiece. 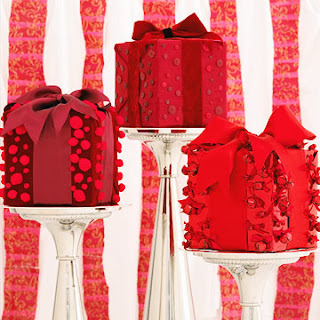 These boxes are decorated with pom-poms, buttons, bows, and jingle bells, and finished with dramatic bows. Display the final products on wide candlesticks intended for pillar candles. 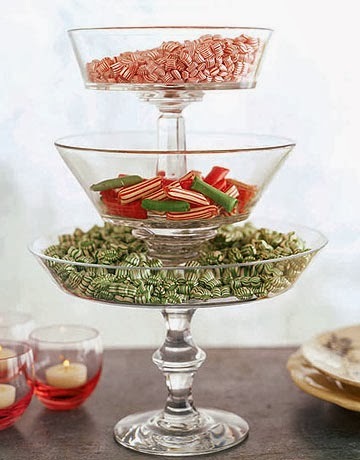 Candy Tower ~ Create a tasty centerpiece for your dining table or buffet: Stack a graduated trio of footed glass compotes, secure each pedestal to the next larger with florist's putty, and fill the bowls with festive candies. Heavenly Holiday Table ~ A row of birch-bark trees makes for a simple yet stunning centerpiece. 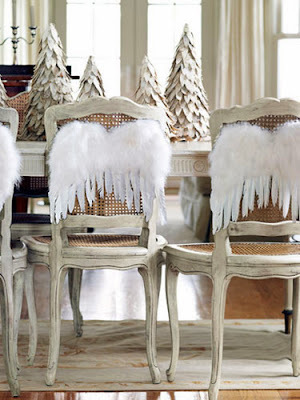 Dining chairs get into the holiday spirit with angel wings. 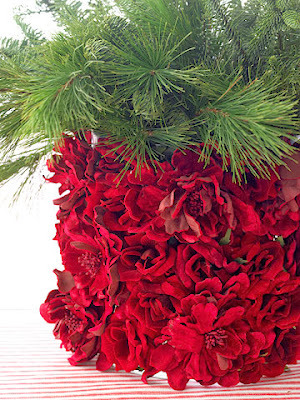 Cover Up ~ Make a vase filled with evergreens more stunning by covering it with fresh flowers. Remove the heads from roses or other seasonal flowers and then hot-glue them to a glass vase or other vessel. 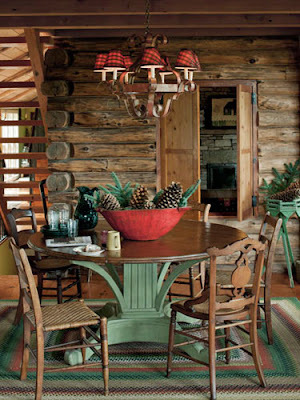 Cabin Fever ~ Pinecones and evergreen branches offer an unfussy alternative to a floral centerpiece. 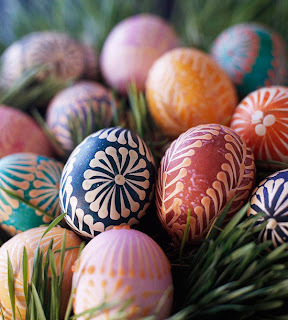 Bowl of Bulbs ~ Let there be light! Tuck a candle into a bowl of Christmas bulbs. 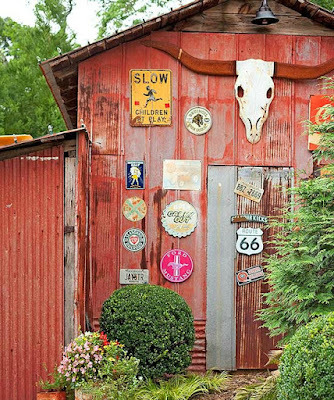 Look for the old-fashioned strand of bulbs. 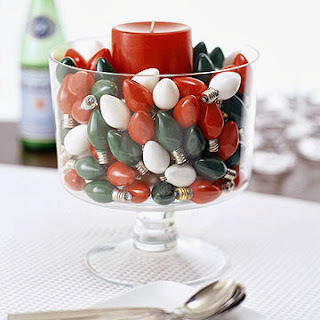 Then coordinate your holiday decor by mixing and matching the candle and bulb colors. 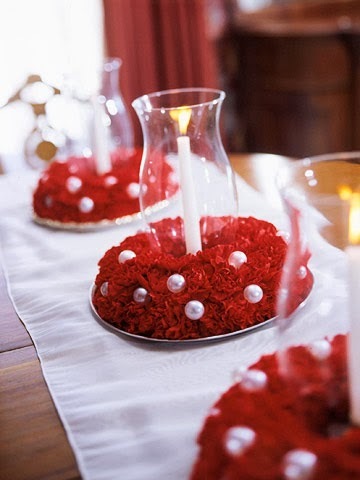 Carnation Centerpieces ~ These three wreaths are easy to make with florist's foam wreath bases, pearl ornaments, and scarlet carnations. 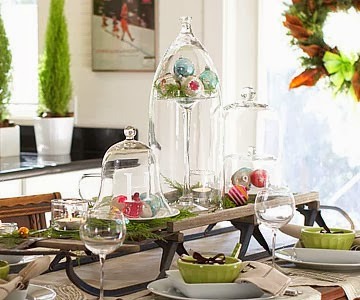 Add glass hurricanes and ivory-color candles for classic Christmas centerpieces. 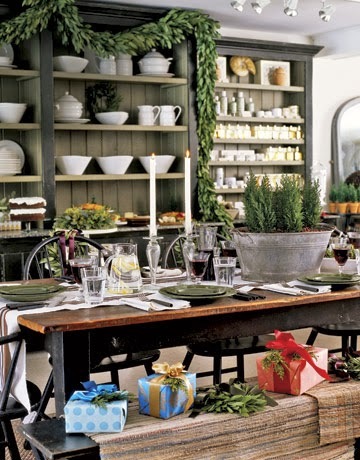 Bursts of Greenery ~ A long table features an unexpected centerpiece of live miniature trees and dried rose hips in a galvanized tub. 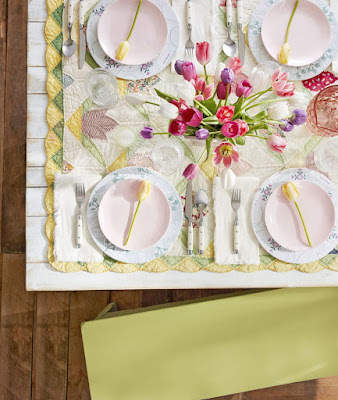 Bright gifts serve as place cards, and lush garlands line exposed shelves.